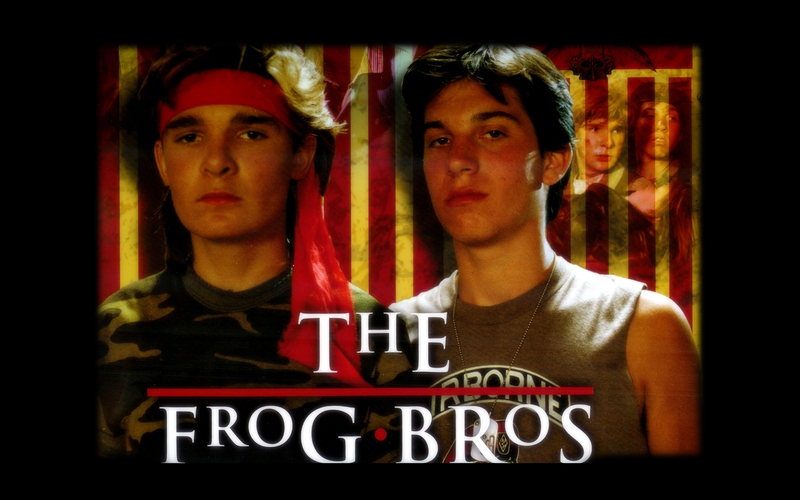 The Frog Brothers. fond d’écran made par DarkSarcasm from the 2008 TLB calendar.. HD Wallpaper and background images in the The Lost Boys Movie club tagged: the lost boys image wallpaper widescren frog brothers edgar frog alan frog jamison newlander corey feldman. This The Lost Boys Movie wallpaper might contain anime, bande dessinée, manga, dessin animé, portrait, headshot, gros plan, and closeup.